"Our lives were kind of taking us in different places. People thought we were being coy, and so did we until we cut to now (and) we're engaged," Nick said. Nick Jonas has opened up about his love story with Bollywood star Priyanka Chopra and the singer says even though they just dated for a few months before getting engaged they knew "it was right". The former Jonas Brothers band member shared the story during an appearance on "The Tonight Show Starring Jimmy Fallon". "Our lives were kind of taking us in different places... People thought we were being coy, and so did we until we cut to now (and) we're engaged," Nick said. "The story sort of wrote itself. It was kind of immediate, and I think we just knew it was right and jumped right in. And we're very happy," he added. Nick, 25, also shared some details on the couple's recent engagement celebrations in India. He described their Roka ceremony and said the two left the momentous occasion "full of joy." 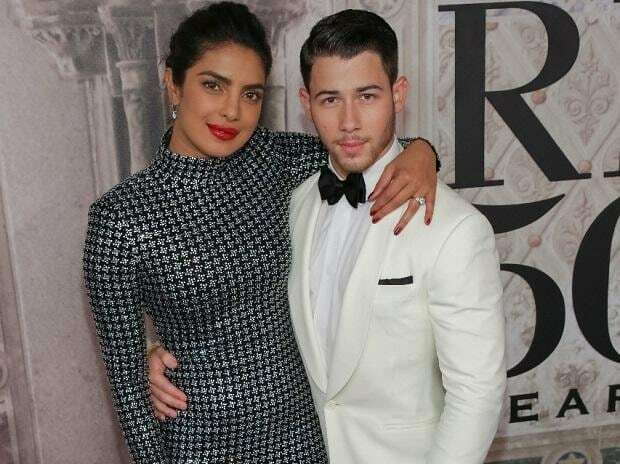 After the host asked Nick to give Priyanka, 36, his best wishes, the singer pointed out that his fiancee was sitting in the audience.